Max Karst serves the US Executive Director and point of contact in the United States for the Congolese political party known as The Union for Democracy and Social Progress (UDPS). By UDPS mandate during President Tshisekedi’s campaign for the presidency, Max was responsible for sharing the platform of UDPS and the transformative vision of Mr. Tshisekedi for the Democratic Republic of the Congo with the American public and key influencers of government and trade policy. His goal was, and is still, to raise awareness in United States of the importance of the election, the solutions Felix Tshisekedi offers, and why Americans should care and support him in his promise of reform, improved security, and a better life for the Congolese people. Max has traveled extensively throughout sub-saharan Africa and is well acquainted with the issues central to the region; security, corruption, illicit trade, resource management, food security, health care, education, lack of infrastructure; all the more reason he relishes the opportunity to share his experience of the tremendous latent potential in a reset of US focus on its relationship to Africa in general and the ‘heart of darkness’ specifically. Congo needs new leadership to bring it into the light of the twenty-first century and Max is excited to serve the UDPS in its work toward achieving that goal. Elections in the Congo are scheduled for December 23, 2018. It is crucial for peace and stability in Central Africa that these elections take place in a fair and transparent manner and reflect the true will of the people. Max is a long-standing member and former Board member of the Africa Chamber of Commerce of the Pacific Northwest in Seattle, Washington. He has conferred with US congressional, ambassadorial, and Commerce Department representatives. He has met with various African governmental leaders and attended numerous Africa trade promotion conferences in Washington, DC and throughout the country. He has first hand experience on the ground in eastern Congo, Rwanda, and Burundi exploring mineral trade potential. As Sales Director for Laser Guidance, Inc. of Redmond, WA he has promoted solar airfield lighting and solar streetlight solutions throughout central Africa, installing two demonstration systems in neighboring Rwanda and one in Ghana. With PamojaUSA, he is excited to bring his passion and experience to bear on this pivotal moment in the history of the Democratic Republic of the Congo. Celestin Kabasele was born in Kananga, Western Kasai, Democratic Republic of the Congo in 1971. His primary education was in Kananga at the Mutoto Presbyterian boarding school, followed by secondary school at Royal Atheneus of Kananga. He later graduated from Institute of Rural Development of Tshibashi (funded by UNESCO) in 1996. Celestin then trained at Sabena Airways in Kinshasa in aircraft ground handling before returning to Kananga where he managed ground operations for Air Kasai and Waltair Aviation Service for four years. Subsequently back in Kinshasa, he founded Continental Business Trading, a company promoting investment opportunities in DRC. He was also a founding member and vice president of the Indo-Congo Chamber of Commerce and Promotion Director at Argentine-Congo Brazzaville Chamber of Commerce. In 2001 he took his company on the road, circulating between Belgium, Germany, France, Spain, Italy, and Russia where he promoted business development opportunities with DRC. Over the years he has traveled to over 65 countries and speaks eleven languages. While in university, Celestin joined the Union for Democracy and Social Progress (UDPS) at the age of 20 in 1991 in opposition to the dictatorship of DRC’s then president Mobuto Sese Seko. He rose through the UDPS ranks to become Sectional President of the Lukonga Community and then Secretary of the Federation of Kasai Occidental. After immigrating to the United States under refugee status in 2008, he worked his way through Renton Technical College in Renton, Washington on a part-time basis until graduating in 2015 with a degree in business administration. In 2010 Celestin founded the non-profit 501(c)(3) Nsanga Corporation to assist the Central African refugee and immigrant community here in the US with training, resettlement, housing, education, women’s empowerment. Nsanga has also built three schools in Kasai, DRC and provided food and clean water to hospitals and schools in eastern DRC among other initiatives. Celestin has appeared frequently on Congolese national television representing UDPS support of democratic issues. As co-founder of PamojaUSA, Celestine continues to forward the interests of the UDPS agenda for reform for the Congolese people and the candidacy of Felix Tshisekedi for president of the Democratic Republic of the Congo. 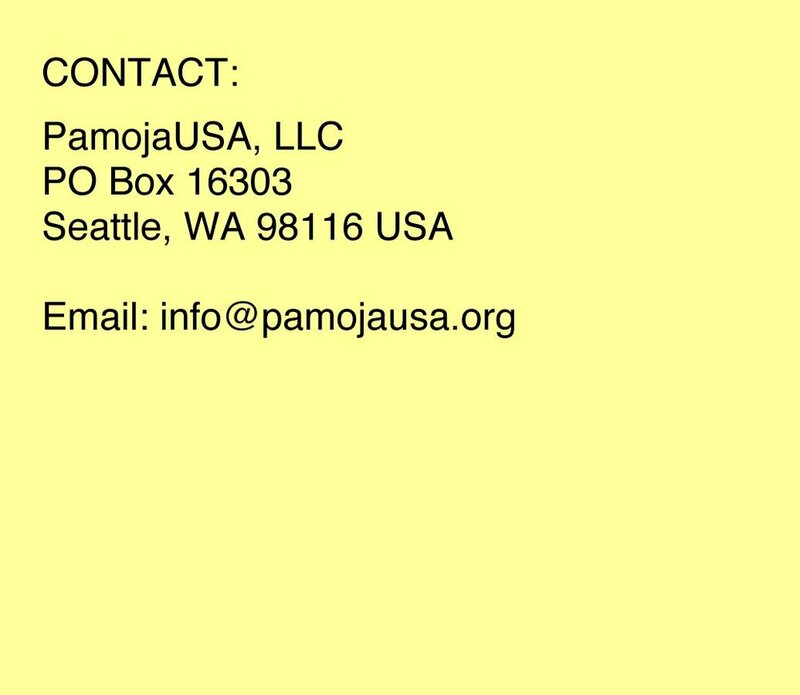 This material is distributed by PamojaUSA, LLC on behalf of Felix Tshisekedi. Additional information is available at the Department of Justice, Washington, DC. Sign up to receive the latest unfolding events from the campaign.